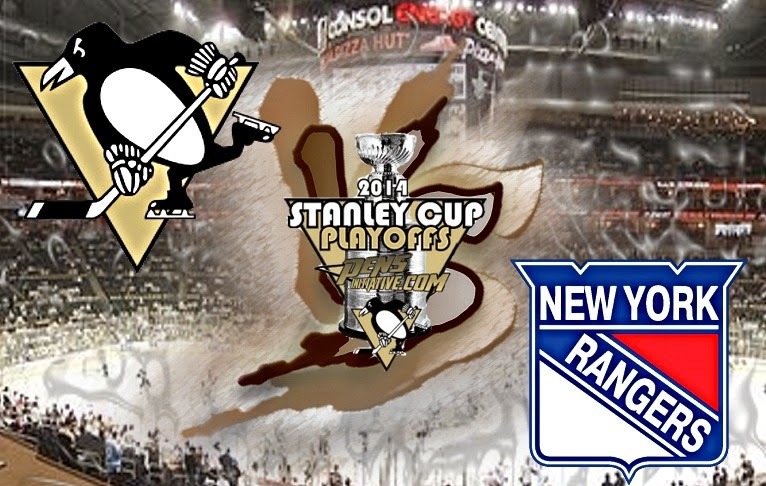 The Penguins have now moved themselves to within one game on advancing to the third round of the 2014 Stanley Cup Playoffs. The Penguins have won three straight since losing the first game in over time, and have the chance to end the series in Pittsburgh. Evgeni Malkin opened the game with a video game type goal 2:31 in and Brandon Sutter, Chris Kunitz, and Jussi Jokinen added goals to make this a very successful trip to the Garden. Overall, the Rangers had sloppy play and bad turn overs. The Penguins limited them to 15 shots, while down defensemen Brooks Orpik, who was lost in the first. Jussi Jokinen is leading the NHL in post-season goals and it is showing. After sitting last year in the Boston series, he has proven his worth. Thanks Carolina. I cannot say enough about the play of Malkin. He is consistently enforcing his will on opposing players. He is physical, grinding, winning battles, all while adding Sports Center replay goals to it. Next game is Friday in Pittsburgh.